TELMI — TELMI in the International Symposium on Performance Science. TELMI in the International Symposium on Performance Science. TELMI has participated actively in the ISPS2017, the International Symposium on Performance Science that was organized in Reykjavík, Iceland from August 30 to September 02. 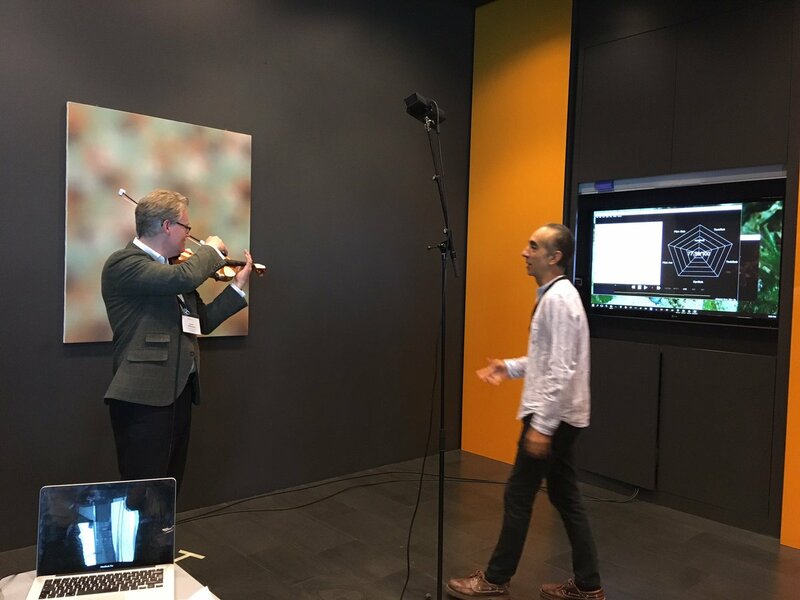 Apart from a keynote speech by Dr. Rafael Ramirez on technology-enhanced learning of music performance and the objectives and accomplishments of the TELMI Project, a one-day long event was organized to engage violinists and violin learners in trying the latest technologies in music learning. The event was shaped as a competition were participants competed on “How Slow Can You Bow”. Winners were awarded TELMI T-Shirts. The competition attracted more than 200 participant throughout the day.